Squarespace allows you to create a beautiful website with customizable templates and easy drag-and-drop functions. 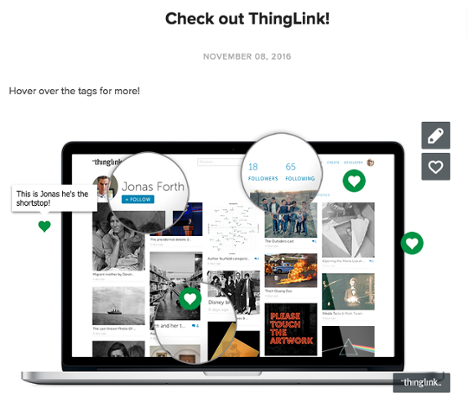 You can also easily add interactive ThingLink creations to your Squarespace page to create an interactive experience for your visitors. 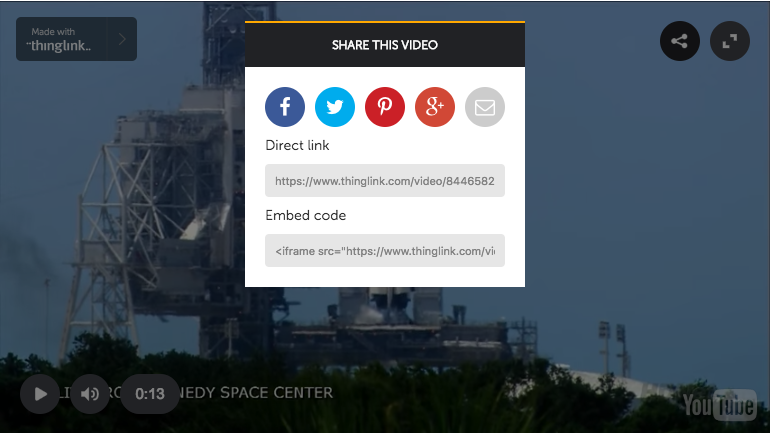 On your ThingLink image, video or 360° image, click the share button. On an image, it appears as an arrow coming out of a box. On videos or 360s it is a v shape. Click the share button and copy the iframe embed code for your creation. From your Squarespace admin page, add a new post or edit an existing post. Use the plus button to adda Code module to the post. 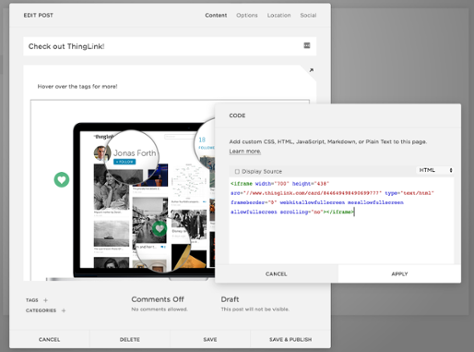 In the Code module, paste in the iframe embed code from ThingLink. 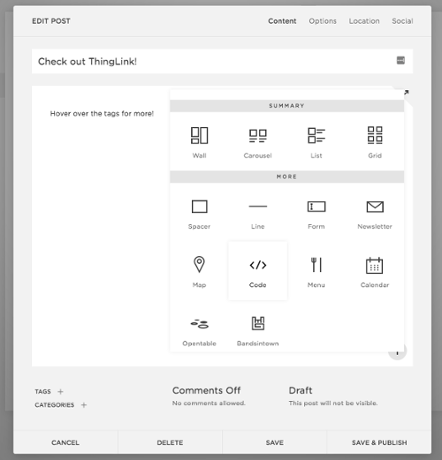 Save your post to see the ThingLink live!